The Good Food & Wine Show rolls into Durban this Thursday and promises to be a scintillating assault on the tastebuds with plenty on offer for amateur foodies and afficionados alike. Head to the Durban Exhibition Centre, between 23rd and 26th August and hob nob with international celebrity chefs, including local Masterchef South Africa winner Deena Naidoo, as well as Masterchef Australia’s George Calombaris. Catch legendary Italian celebrity chef and cookbook author Antonio Carluccio and Indian super chef Cyrus Todiwala, who was awarded an OBE from the Queen of England for his contribution to Indian cuisine in Great Britain. 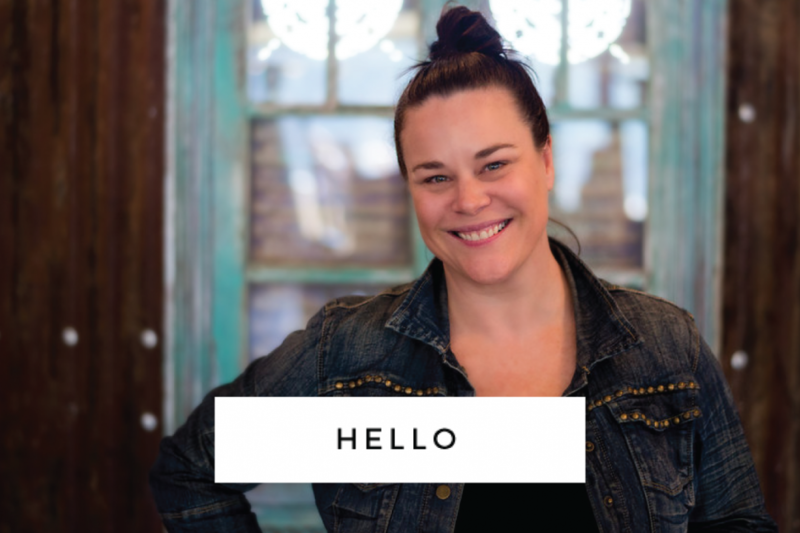 There are numerous hands-on workshops and demonstrations, or just marvel at the artisan craftsman in action. The kids are catered for too and sample some of Durban’s best food and drinks scene at the Flavours of Durban. Tickets are available through Computicket or check out the Good Food & Wine Show website for more information. The show is open until 9pm daily, except for Sunday when it closes at 6pm. 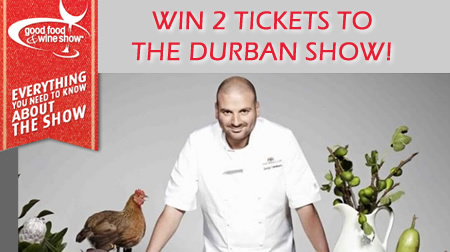 I’ve got 2 tickets to giveaway for the show – all you have to do to win is tell me your favourite typically Durban dish. Leave a comment on this post and maybe you’ll be a winner! You may only enter once, so leave only one comment please. You have until Wednesday 22nd August at 5pm to enter. One person will win 2 tickets which will be available at the entrance to the show for collection. The tickets are valid for entry on any of the show days between 23rd & 26th August. Only entries who leave valid email addresses will be considered. You will be contacted by email on Wednesday evening if you have won so please make sure you check your email! Mine has to be a great gatsby. Loaded with potato chips, steak, fried egg , cheese, onion (lots of it) lettuce and tomato. Oh yes please! I NEED to get to the show! And my fav Durban dish…gotta be a curry, and not just any curry…a chicken korma bunny chow! Yum yum yum! If you talking Durban you must be talking Johnny’s Roties. Chip cheese and mutton gravy roti makes any grey day more exciting. Johnny’s Chip and Cheese Roti…after midnight all roads lead to Johnny’s. I’m going to say a steak from Joop’s Place is up there, something a little diff from Durban curry but still an institution IMO. A tasty, spicey, full-of-flesh-kinda bunny chow!!! I hate to be boring, but I also have to say a curry BUT my favourite is a little different! I love making my own curries so I can add my own “pizzazz”. A tasty masala from Gorima’s transforms plain pink prawns into heaven…. I also chuck in a few chunks of hake and a few calamari rings. The key is loads of torn coriander stirred in just before serving. Served with fresh butter naans from Copper Chimney mm mm mm…. Curry..in a roti…in a bunny…with rice…with banana slices…with coconut…with sambals with everything! Followed by a delicious slice of fresh pineapple sprinkled with curry powder beach front style! My favourite dish has to be the bunny chow authentically belongs in Durbs and we love it! Mutton bunnys with lots of fresh corriander…yum!!! Traditional Broad bean bunny ….Sunrise chip n ranch or Britannia hotel are legendary! Durbs is good for SO many yummy dishes – a perfectly cut pineapple on the beach, a hot and spicy chicken curry bunny or fresh seafood sushi from our ocean! The most recognized and delicious Indian dish in Durban has to be the Mutton Curry! You can get it in many forms from well established Indian restaurants in Durban like lamb rogan josh and lamb vindaloo but mutton curry has to be best eaten in a bunny! Nothing beats a Durban Mutton Bunny when it comes to great taste, convenience and a uniquely fun way to eat mutton curry! a curry in any shape or form – bunny chow, mutton curry & rice or veg breyani gets my vote!